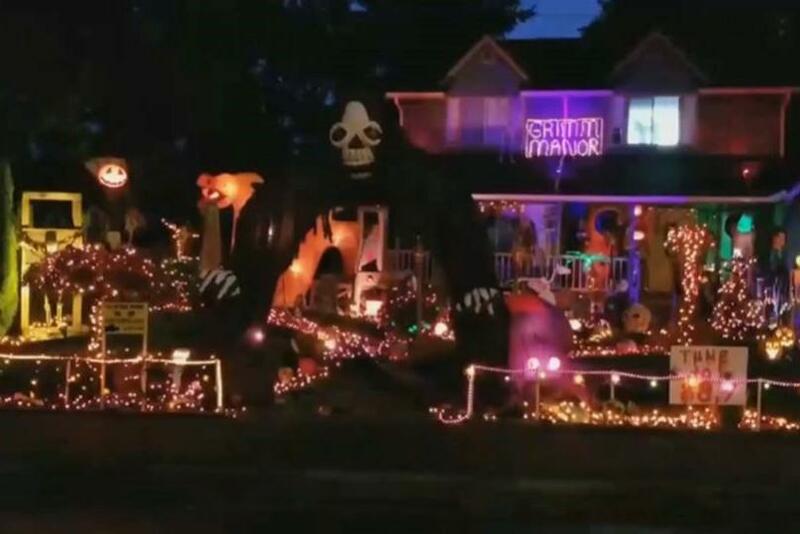 KING 5 Viewers Voted, the Spookiest House is Right Here! The secret is out–Lacey is home to the KING 5 #EveHalloweenHouse! 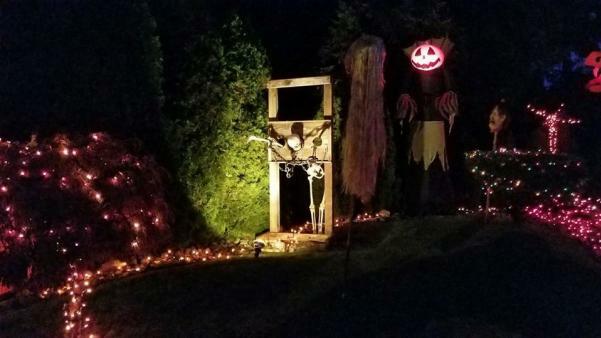 This week KING 5 viewers visited the KING 5 Evening Facebook page to vote on the spookiest, most elaborate or downright freaky Halloween homes and Grimm Manor on Columbine Court in Lacey is the winner! Visit this weekend, or meet the Evening crew Monday morning as they film the show. Grimm Manor is located at 6647 Columbine Ct. SE, Lacey, WA 98513. Tune into KING 5 at 7:30 p.m. this Monday evening for the full show. While in town, have a seasonal swan song with a visit to a Haunted House, Pumpkin Patch or Fall festival, all running through this weekend, and some through Oct. 31. Apple Festival at Lattin’s Country Cider Mill & Farm. Find the famous apple fritters, along with pumpkins, bluegrass music and fall fun at this family farm. Visitors will find pony rides, apple bobbing and plenty of pumpkins from which to choose. Work up an appetite to enjoy the farm’s famous apple fritters, along with barbecue, apple crisp, caramel apples, cider doughnuts and more. Fall Fun at Hunter Farms. Visit the farm for every fall photo opportunity imaginable. From camel rides to carousels, pumpkins and corn mazes, Hunter Family Farms provides a pumpkin patch and so much more. Visit on weekdays for wagon rides, hay maze and slide, corn maze and on the weekend the fun expands to camel and pony rides, a pillow jump, pumpkin slingshot and much more. Entry to the barnyard area with a goat walk, small animal pens, picnic tables and a holiday shop is complimentary, tickets are sold for activities. Fall Festival at Schilter Family Farm. Finding the perfect pumpkin is just the beginning of the fall fun at Schilter Family Farm. From 10 a.m.–6 p.m. daily, visitors will find plenty of fall fun including a five-acre corn maze, a hay pyramid, a corn cannon, farm animals, pony and tractor rides and much more. A visit to the pumpkin patch and market store are free, admission to the festival ranges based on age and day of the week. Rutledge Corn Maze featuring The Bountiful Byway. Rutledge Corn Maze offers a corn maze, along with a bevy of farm fun including a pumpkin patch, cow train, story times and more. At night, the maze transforms into a space for zombie apocalypse paintball or haunted maze experience. Historically known for its artistic and iconic images–in 2012 the Rutledge Corn Maze gained national notoriety for its depiction of Marshawn Lynch–this year’s corn maze features the logo of the Bountiful Byway, a recently launched 60-mile agritourism route throughout the region (BountifulByway.com), in order to encourage tasting and touring the area this fall. Spend the weekend and find dining, lodging, events, festivals and entertainment ideas at experienceolympia.com. 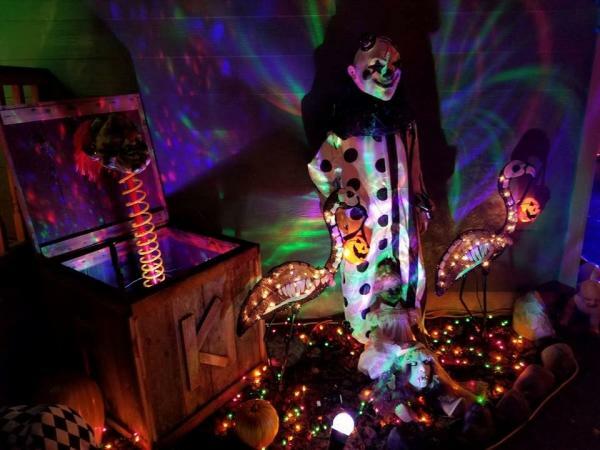 Join the conversation via #EveHalloweenHouse and make sure to share your adventures with us by tagging social posts #DecidedlyDifferent and connect with us on Facebook, Twitter (@Experience_Oly) and Instagram (@ExperienceOly).